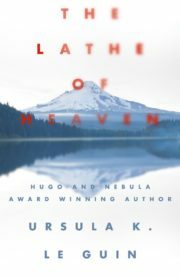 As of 2013, Ursula K. Le Guin has published twenty-two novels, eleven volumes of short stories, four collections of essays, twelve books for children, six volumes of poetry and four of translation, and has received many awards: Hugo, Nebula, National Book Award, PEN-Malamud, etc. Her recent publications include the novel Lavinia, an essay collection, Cheek by Jowl, and The Wild Girls. Forthcoming in 2012, Finding My Elegy, New and Selected Poems. She lives in Portland, Oregon. 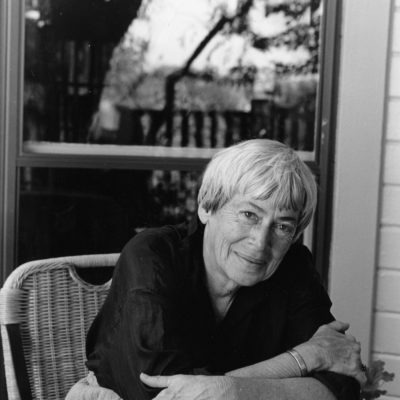 She is known for her treatment of gender (The Left Hand of Darkness, The Matter of Seggri), political systems (The telling, The Dispossessed) and difference/otherness in any other form. Her interest in non-Western philosophies is reflected in works such as ‘Solitude’ and ‘The telling’ but even more interesting are her imagined societies, often mixing traits extracted from her profound knowledge of anthropology acquired from growing up with her father, the famous anthropologist, Alfred Krober. The Hain chronicles reflect the anthropologist’s experience of immersing themselves in new strange cultures since most of their main characters and narrators (Le Guin favours the first person narration) are envoys from a humanitarian organization, the Ecumen, sent to investigate or ally themselves with the people of a different world and learn their ways.